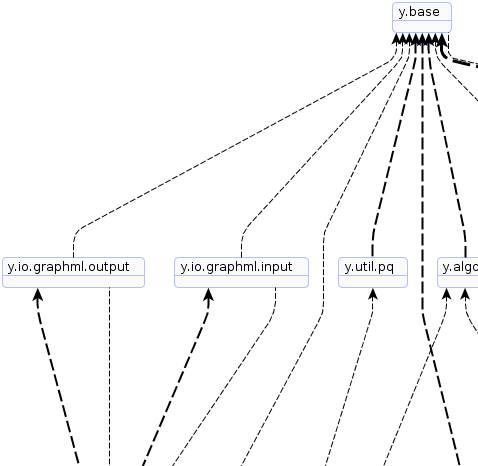 y.algo Provides classes and interfaces for efficient graph analysis. 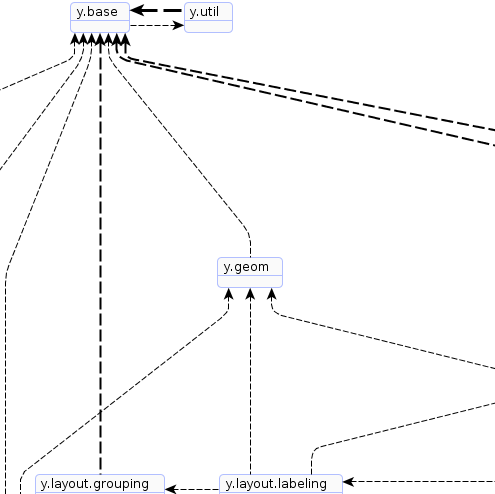 y.base Provides the yFiles library's most fundamental classes and interfaces that model an efficient graph data type (class Graph), its nodes and edges (classes Node and Edge), and related container structures and iteration mechanisms (class YList and interface YCursor). y.geom Provides classes for defining and performing operations related to two-dimensional geometry. 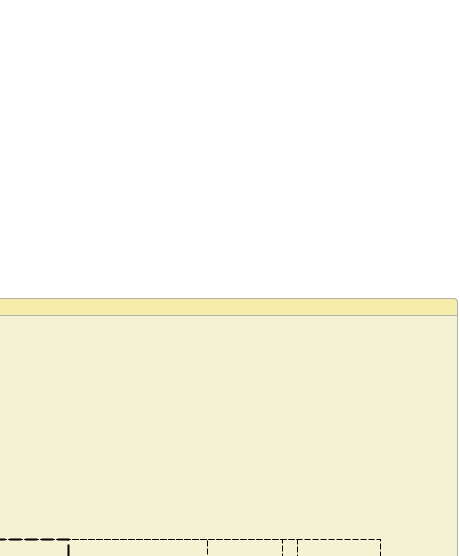 y.util Provides utility classes that are used throughout the yFiles library. 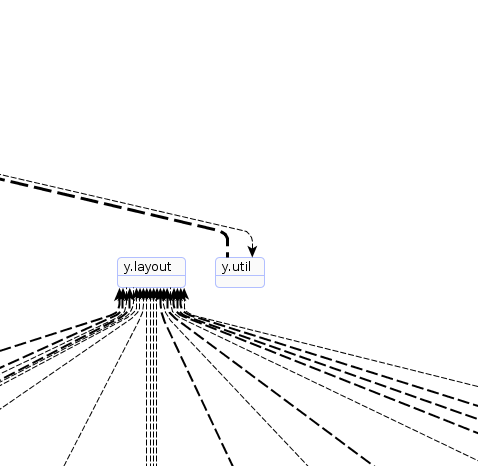 y.util.pq Provides interfaces and implementations of priority queues for nodes. 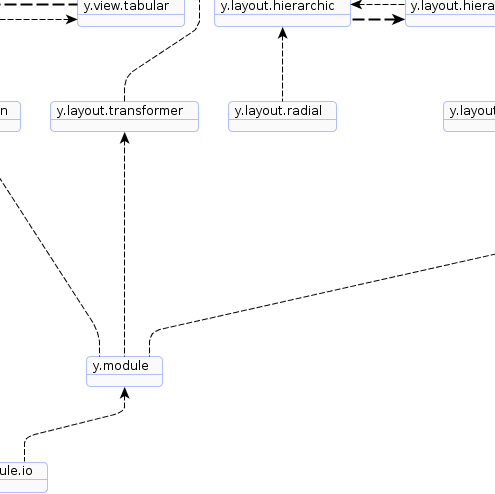 y.layout Provides essential classes and interfaces that constitute the infrastructure for automatic graph layout generation. y.layout.circular Provides circular layout style algorithms. 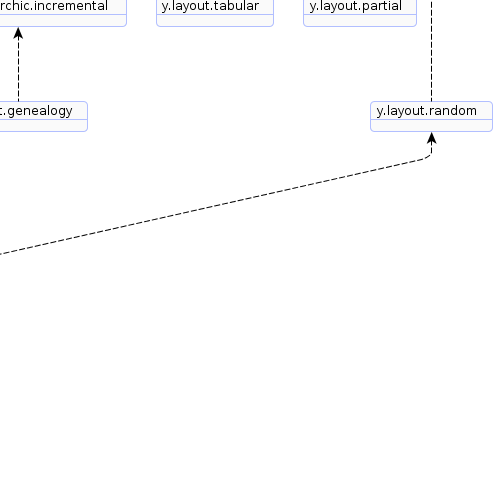 y.layout.genealogy Provides layout algorithms that are especially suited for genealogical family trees. y.layout.grid Provides classes and interfaces that are necessary for layout calculation of graphs with a partition grid. 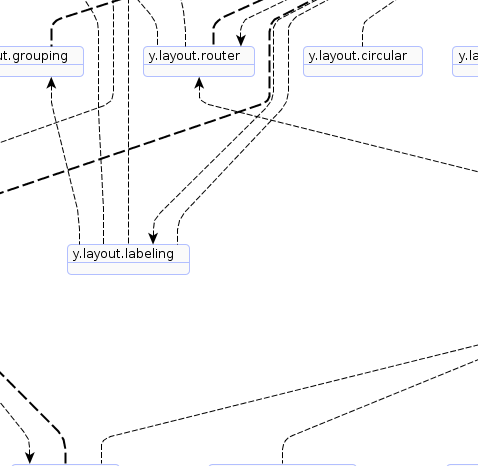 y.layout.grouping Provides classes and interfaces that are necessary for the layout calculation of graph hierarchies (i.e. hierarchically grouped graphs). 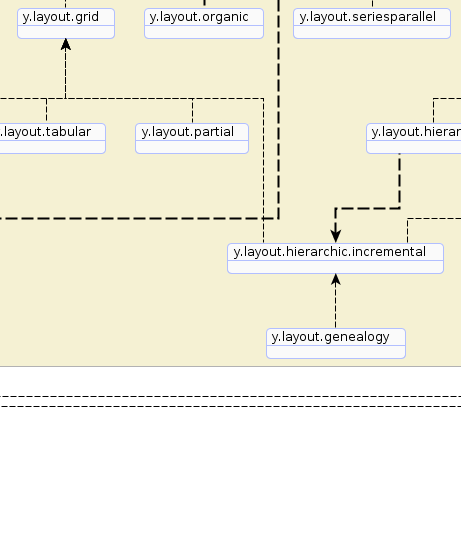 y.layout.hierarchic Provides hierarchic layout style algorithms. 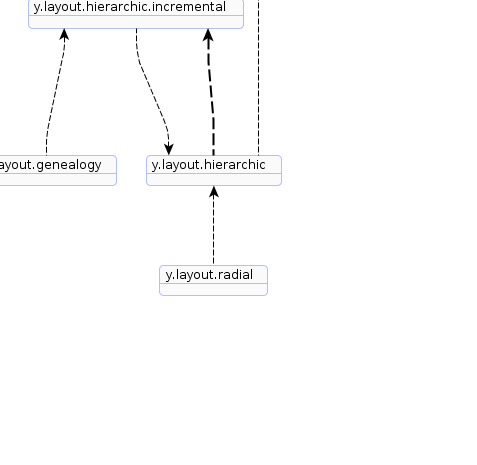 y.layout.hierarchic.incremental Provides hierarchic layout style algorithms. y.layout.labeling Provides algorithms for the automatic placement of node and edge labels, so called generic labeling algorithms. 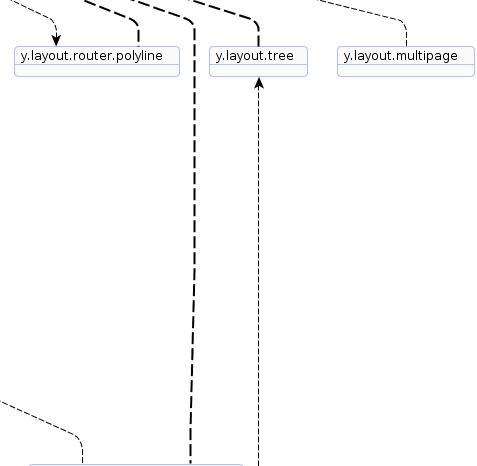 y.layout.multipage Provides the MultiPageLayouter that subdivides the input graph into several smaller graphs whose layouts fit the specified maximum page size. 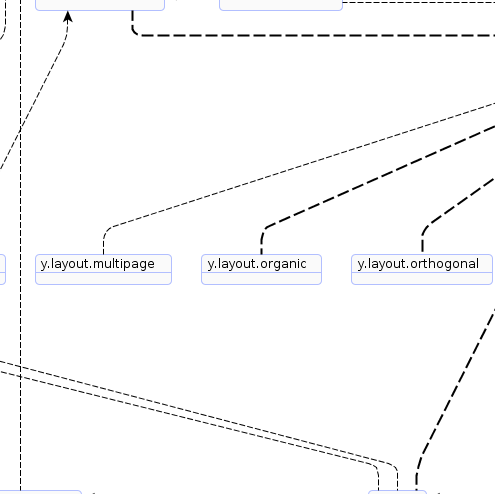 y.layout.organic Provides organic layout style algorithms that are based on a force-directed layout paradigm. 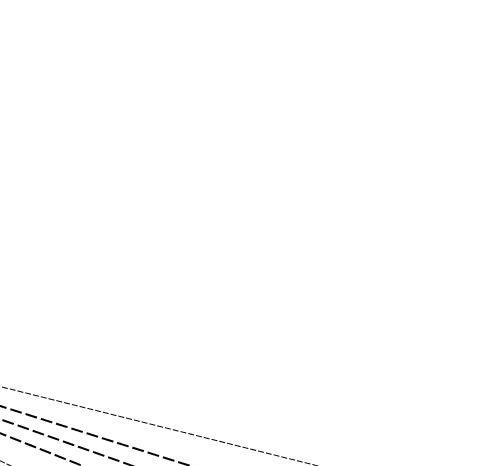 y.layout.orthogonal Provides orthogonal layout style algorithms. 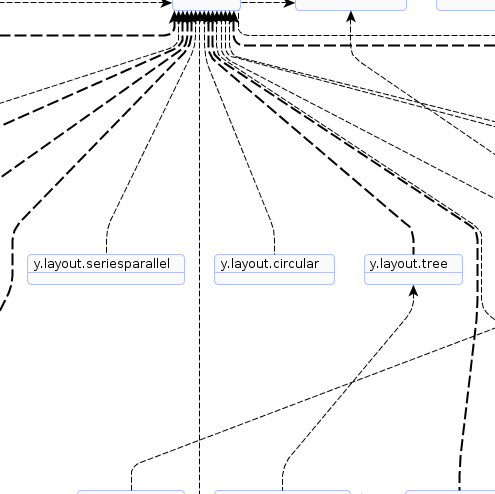 y.layout.partial Provides class PartialLayouter that enables layout of user-specified, distinct parts of a diagram without altering the existing layout of the remainder of the diagram. 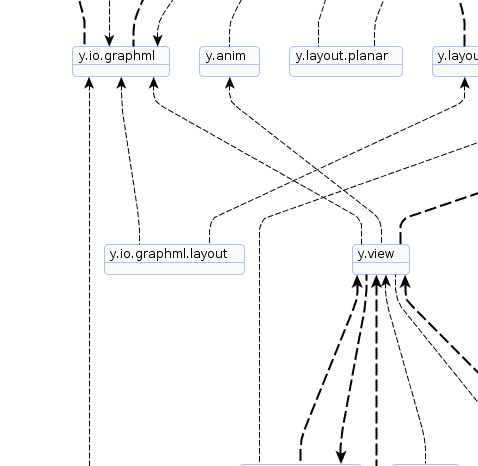 y.layout.planar This package provides classes for handling planar graphs and creating planar graph layouts. y.layout.radial Provides the radial layout algorithm. 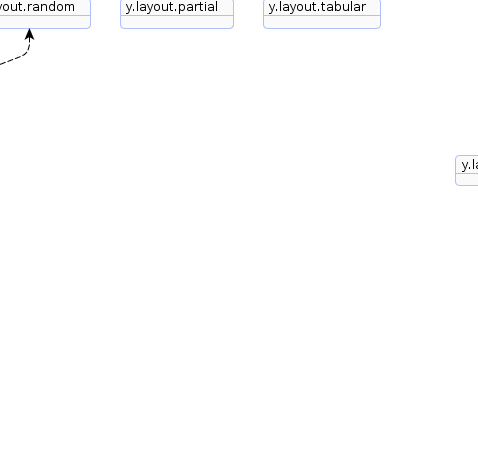 y.layout.random Provides a random layout style algorithm. 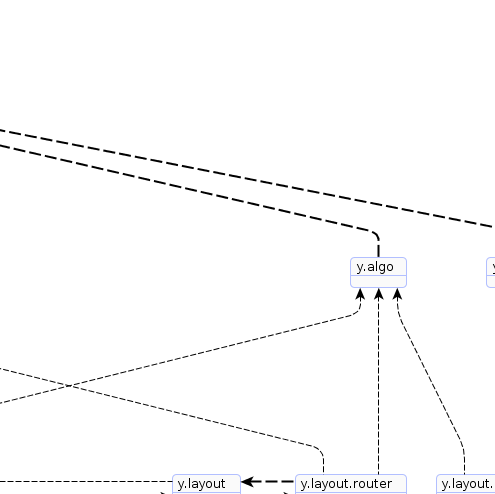 y.layout.router Provides classes for automatic routing of the edges in a graph. 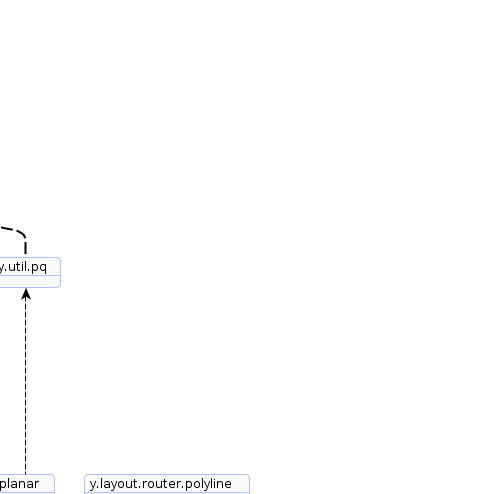 y.layout.router.polyline Provides classes and interfaces for automatic polyline routing of the edges of a graph. 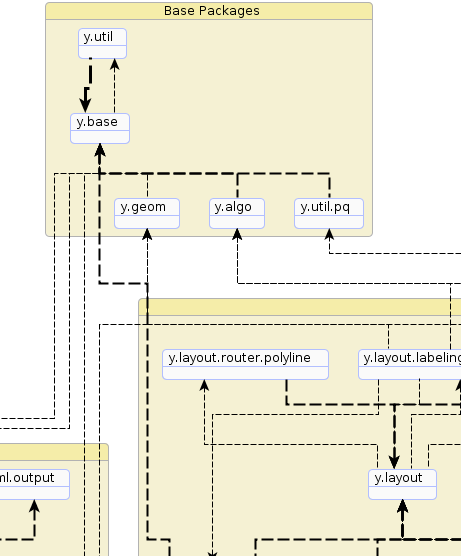 y.layout.seriesparallel Provides the series-parallel layout algorithm. 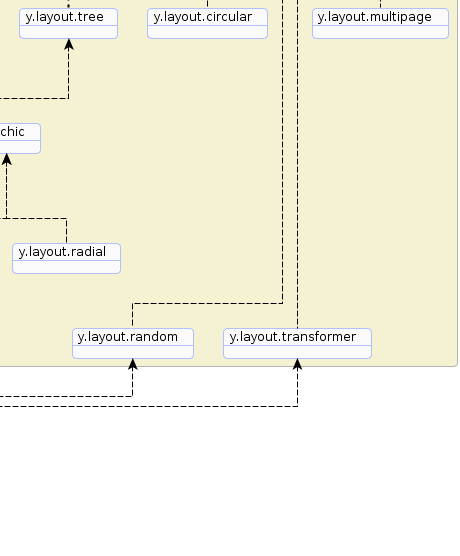 y.layout.transformer Provides layout algorithms that perform geometric transformations on a graph. 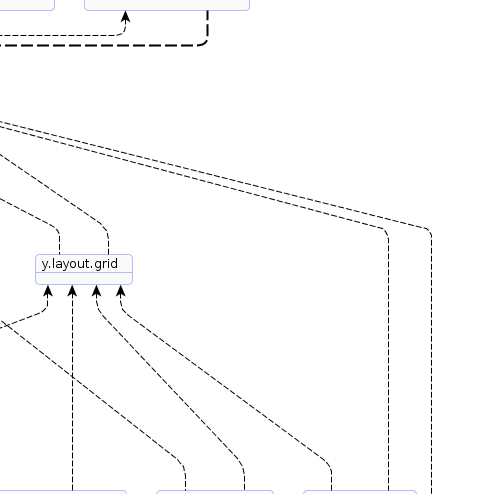 y.layout.tree Provides tree layout style algorithms. y.anim Provides core classes and interfaces for a general animation framework. 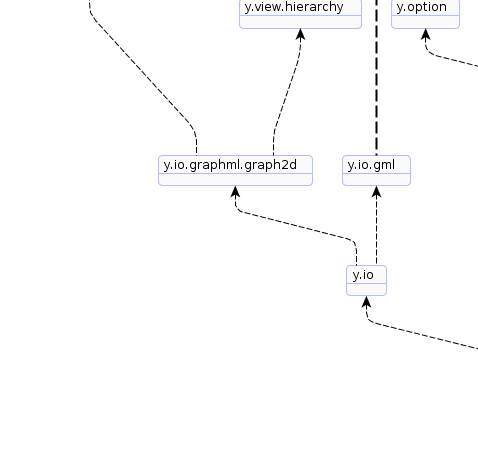 y.io Provides classes for reading and writing a Graph2D object from/to diverse file formats. y.io.gml Provides parser and encoder classes used by GMLIOHandler. 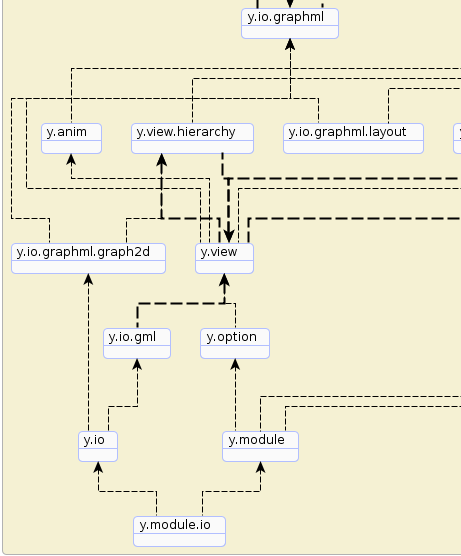 y.io.graphml Provides common types that are used by GraphMLIOHandler. 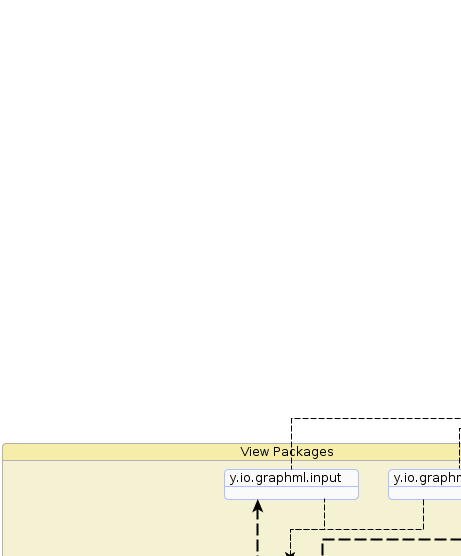 y.io.graphml.graph2d This package contains classes that support additional features from the y.view namespace. 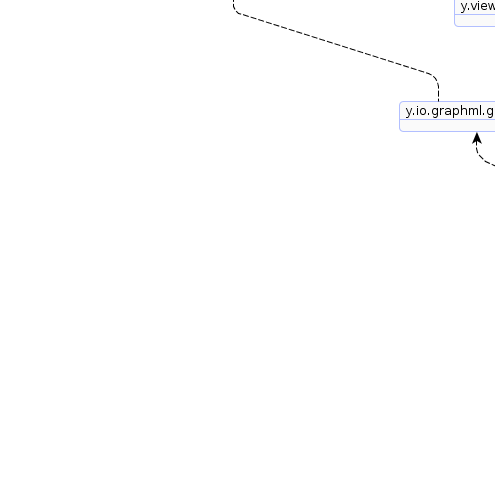 y.io.graphml.input This package contains types that handle the parsing of GraphML files. 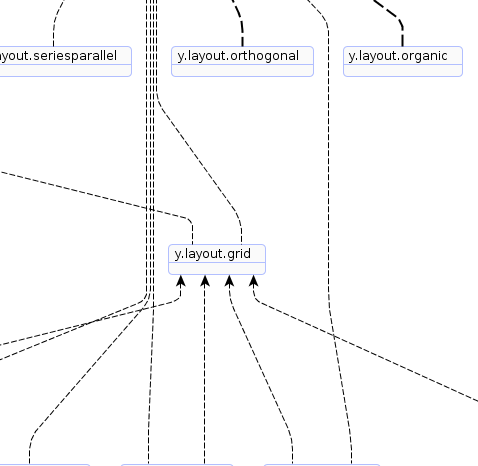 y.io.graphml.layout This package contains classes that support serializing and deserializing geometry data only. 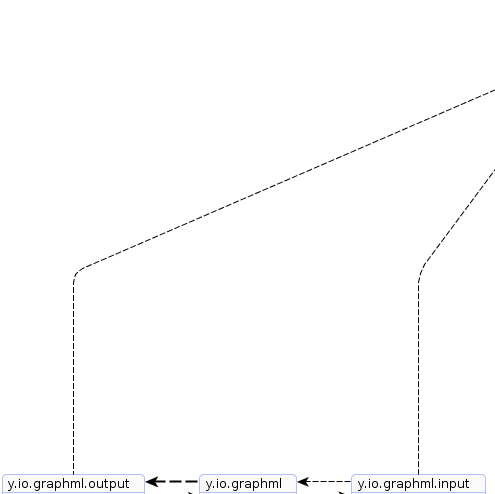 y.io.graphml.output This package contains types that handle the writing of GraphML files. 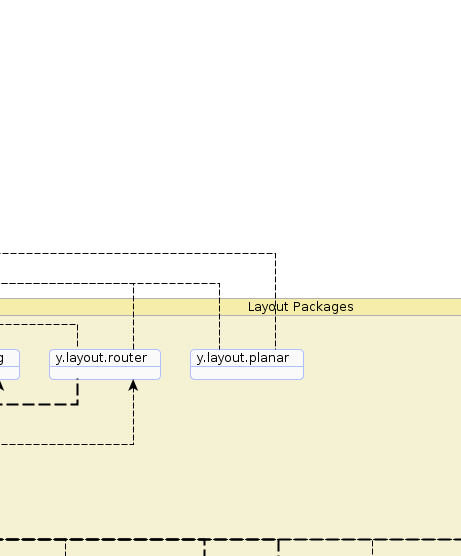 y.module Provides so-called "layout modules," i.e., classes that encapsulate application-level set-up services for the yFiles layout algorithms, edge routing algorithms, and certain graph tools. 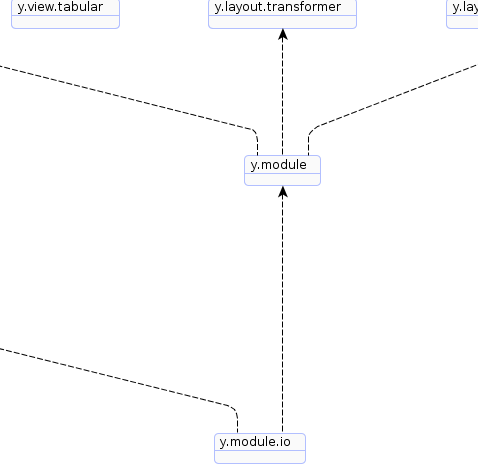 y.module.io Provides pluggable modules for diverse yFiles input and output formats. y.option Provides classes that allow to manage, store and edit a set of parameters in a very easy and convenient way. 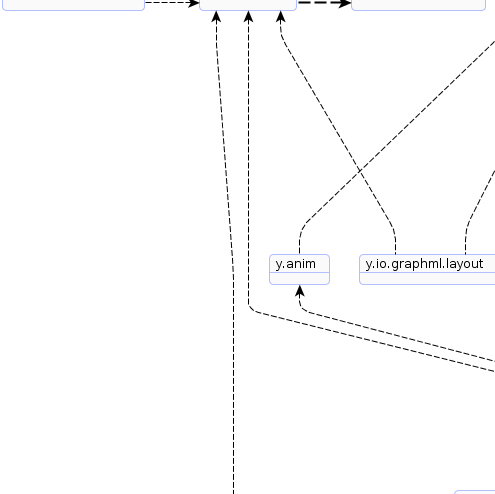 y.view Provides essential classes and interfaces for viewing, animating and editing graphs. 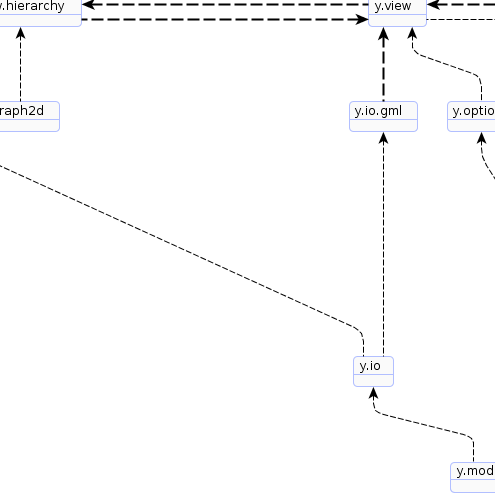 y.view.hierarchy Provides classes and interfaces for managing and viewing graph hierarchies (a.k.a. 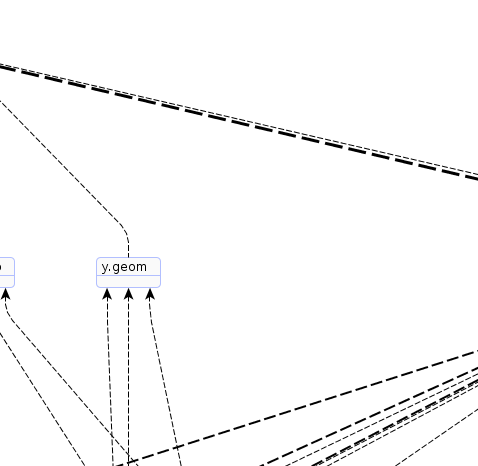 hierarchically organized graphs) where nodes can be nested within other nodes to arbitrary depth. 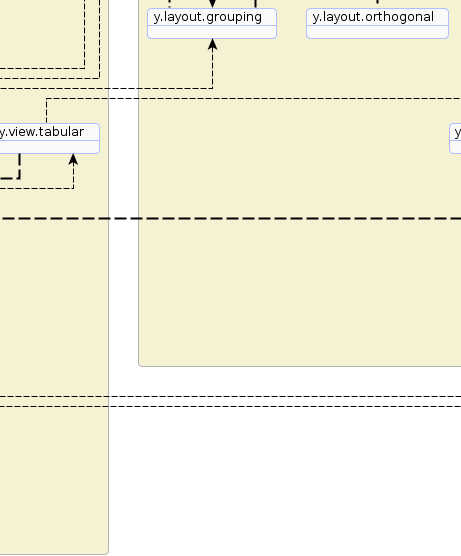 y.view.tabular Provides classes and interfaces to organize group node content in a tabular fashion.